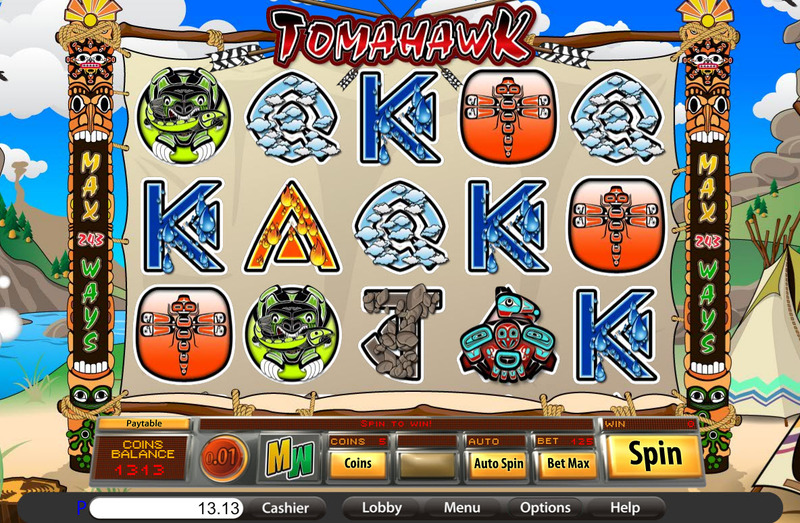 Overview: The rhythmical drums of Tomahawk Video Slot is the first clue that this is no ordinary casino game. The animated background featuring soaring eagles is the second . . . then comes the authentic Red Indian styled graphics, the Totem Builder Feature game, the 10,000 coin wins plus Wild and Scatter symbols, not to mention the (up to) 15 Free Spins with a 3 X multiplier. 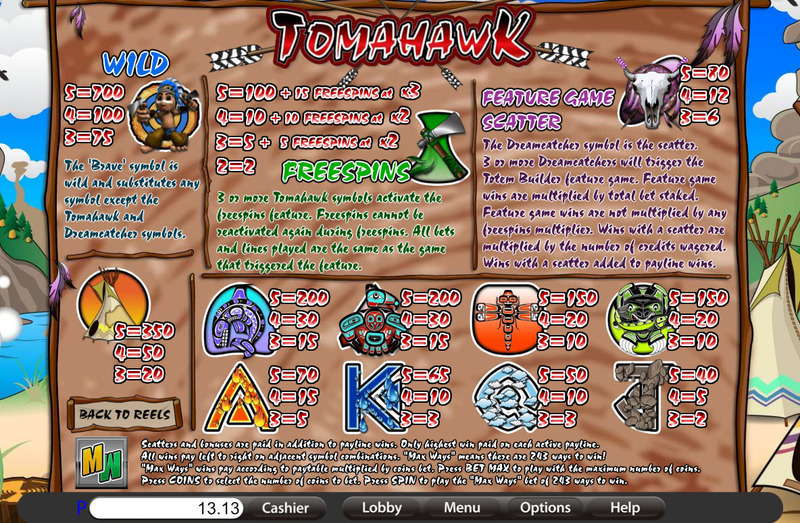 Add to that the fact that Tomahawk Video Slot features BETONSOFT's "max ways" gaming engine and players not only have access to a unique and beautifully crafted addition to their online entertainment bouquet - but they also have 243 ways in which they could walk away with Indian gold. 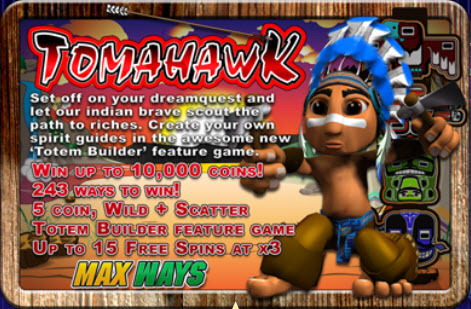 The symbols to look out for are "The Brave" which is our Indian Warrior and Wild symbol, the Tomahawk (axe) symbol actives Free Spins while the Totem Builder Feature game is activated by the "Dream catcher" symbol featuring an ox-skull. Superb animation and 3D feel to the graphics makes Tomahawk Video Slot one of BETONSOFT's most unique gaming releases to date, and is a worthy addition to the gaming developer's entertainment stable. Similar Slots: If you like Tomahawk, you might like these other slot machines from Saucify: Buckin' Bronco$, Cosmopolitan, Frontside Spins, Perfect Date, Pina Nevada, Road Trip.